The first hall on this site was a physics building designed by State Architect Seymour Davis in imitation of a French chateau admired by its namesake, physics professor Lucien I. Blake. A dapper man with a vivacious personality, Blake was also a noted scientist in electricity, thermodynamics and X-rays. 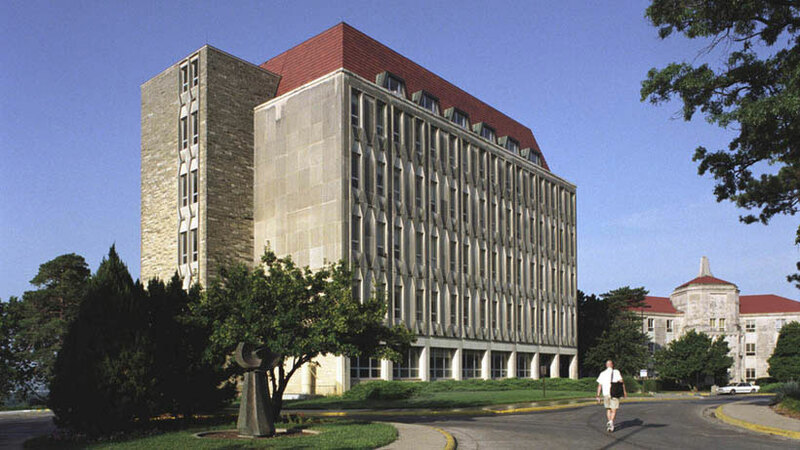 The building housed classrooms, labs and auditoria when it was completed in 1895 south of Old Fraser Hall; it was superseded in 1954 when physics and other science departments moved to Malott Hall. It was empty for several years before it was determined that it could not be economically renovated and was razed in 1963. 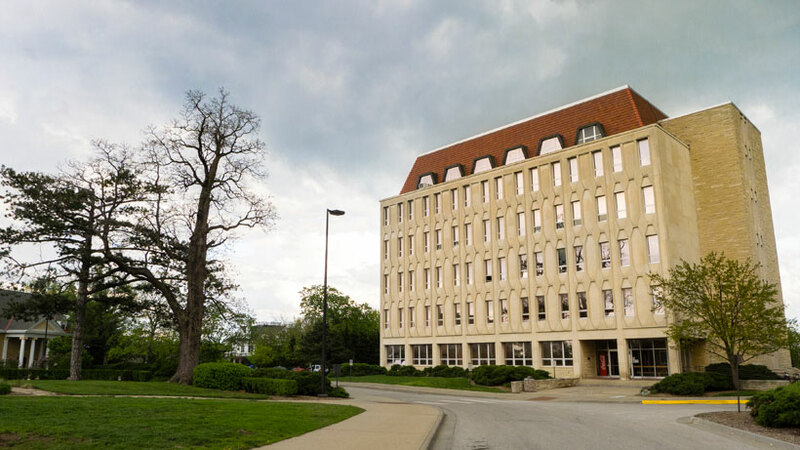 On its footprint was erected this cut- and rough-stone, six-story building with twice the usable square footage and the red roof of other central campus buildings. The name was retained but political science, sociology, social welfare, and human relations were housed there. 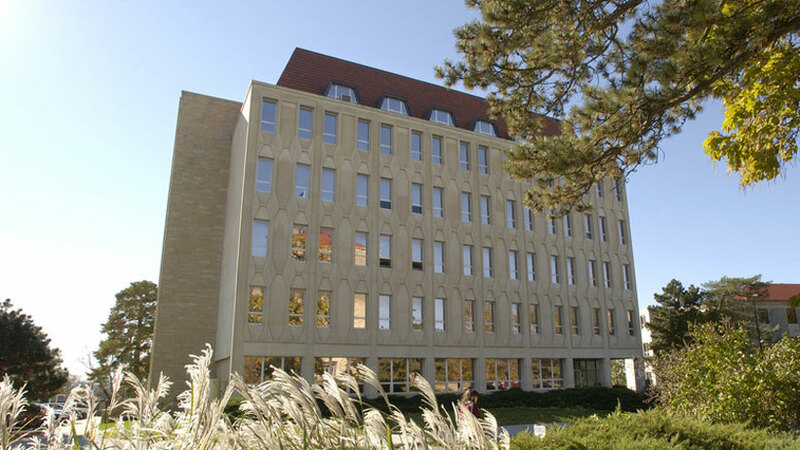 Blake Hall now houses the departments of political science, linguistics, psychology, and women, gender and sexuality studies; the Institute for Policy & Social Research; and classrooms and seminar rooms.